Though they love Facebook Messenger and WhatsApp, they want to know how to use iMessage on iPhone. Windows users crave that they had this option, and often wonder how to use iMessage on Windows. Follow the guide below to easily get iMessage on PC running Windows 10, 8, 7 or XP. What if there was a way to do this? Fortunately, there is. Yes, you can know how to use iMessage on PC running Windows 10, 8, 7 or XP. You should have a Windows PC and Mac with iMessage. Next, download Chrome Remote Desktop and make sure you have installed Chrome on your Windows and Mac computer. Click the launch app after installation. Download Chrome Remote Desktop Host Installer on Mac. Install the same program after it downloads. These steps are mandatory for finding how to get iMessage on PC with Windows 7, 8 or 10. Connect both the PCs using the code. Then, begin. Know This: Chrome Remote Desktop enables you to access another PC through Chromebook or Chrome browser. Other than that, you can easily access your files and apps in a secure manner. 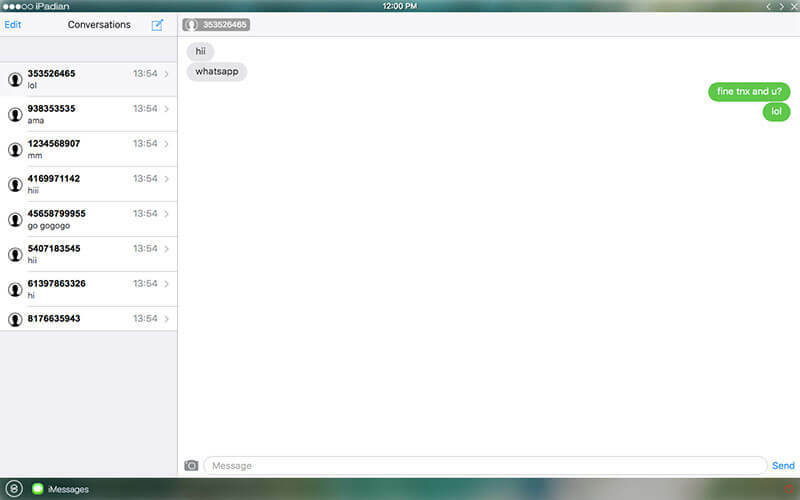 Take advantage of iMessage on Windows. Can you use iMessage on PC or without having a Mac? 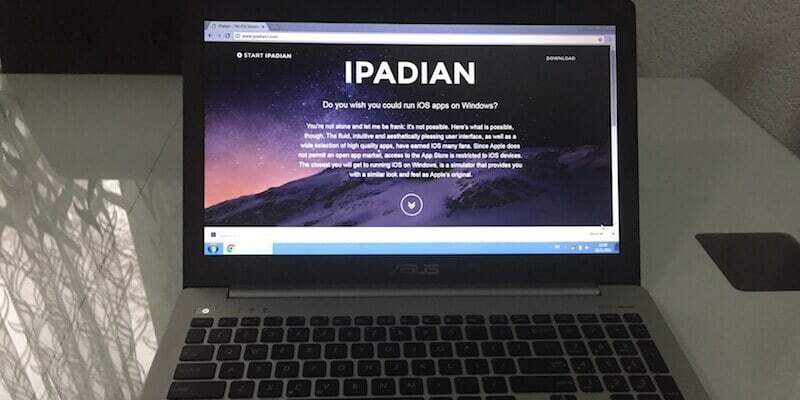 Yes, just download iPadian on Windows; it’s a 3rd-party software responsible for making a virtual iOS ecosystem on the OS, enabling users to install Apple’s Messages on their PC. Follow the guide below to get iMessage on PC running Windows 10, 8, 8.1, 7 or XP. Download the iPadian emulator for Windows from this page. Install the downloaded .exe file on the computer. Once the installation completes, open the iPadian software on Windows. Use the search bar to find “iMessage”. 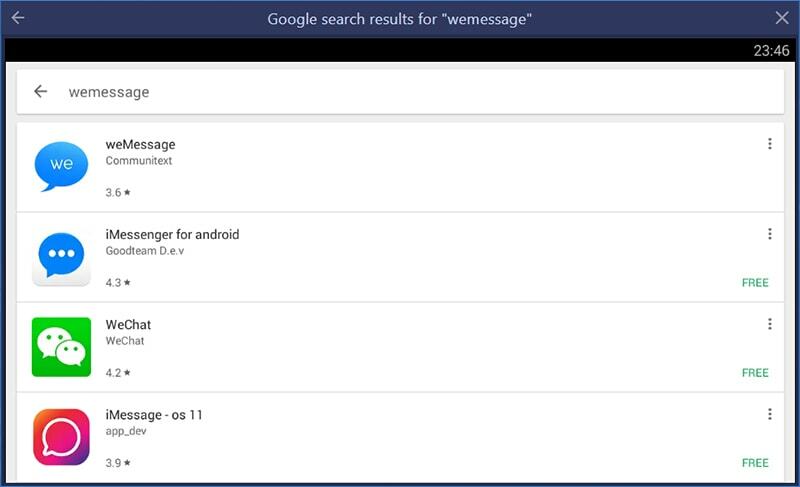 Download Messages app on PC. Then, open the app and start using iMessage on your Windows Computer. That’s all. Bluestacks is an Android emulator that’s available for Windows platform. You can easily install it and run Android apps on your Windows 10/8/7 PC easily. In this case, you can use Bluestacks to install iMessage for Windows and use it without having a Mac, iPad or iPhone. 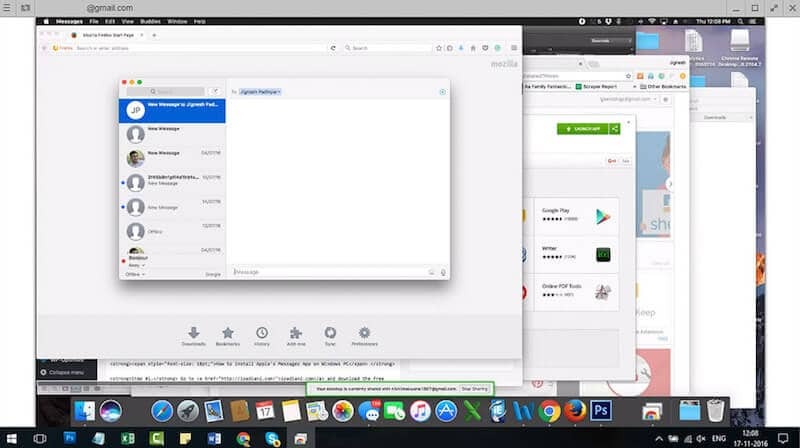 To Install iMessage via Bluestacks, you need to open Play Store and search for weMessage. 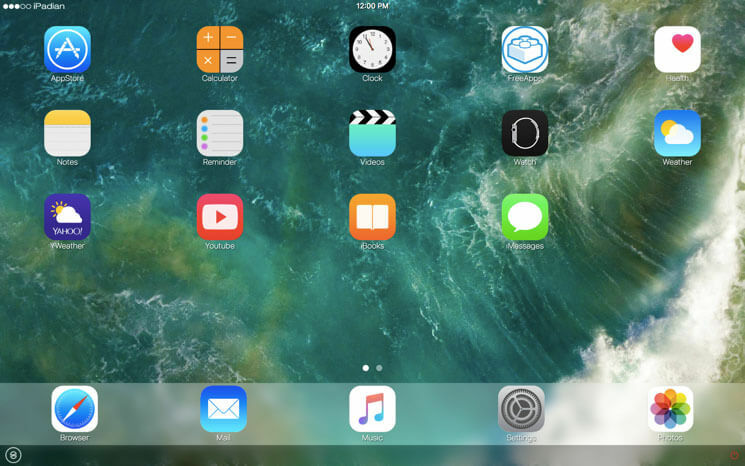 Download the app and you can start using iMessage on your Windows based computer. The best method to get iMessage on PC is to install Hackintosh. You can install macOS Sierra or older MAC OS version on your PC. It can be run as a dual boot OS or you can use virtual box to run the MacOS. Follow the step by step guide on how to install Hackintosh here. After that, you can easily use iMessage, Facetime or any all other Mac apps on your PC. Watch the video below to learn how to install MacOS Sierra on your PC. iMessage works great on iOS 11. And offers Tapbacks on macOS Sierra. You’ve successfully learned how to use iMessage on Windows. Enjoy and feel free to leave comments. We have tested all the methods on Windows 10 PC. The iMessage on PC can be installed in less than 10 minutes.